Get your free data sheet! Just tell us where to send it, and it's yours! I agree that I receive the newsletter of the company LECTURA GmbH (not obligatory) and thus weekly the most important news from hundreds of press releases, which are important for my industry, get. My data is used exclusively for this purpose. No information is passed on to unauthorized or third parties. I agree, that my e-mail address is stored by LECTURA GmbH for a month in order to reconcile it with inquiries and to prevent abuse of this offer of LECTURA, for example the mass download of data sheets. After one month, the e-mail address will be automatically deleted. I am aware that I can revoke my consent at any time with effect for the future. I can do this via the following channels: electronically via an unsubscribe link in the respective newsletter, by e-mail to: news@lectura.press or by post to: LECTURA GmbH, Ritter-von-Schuh-Platz 3, 90459 Nuremberg. 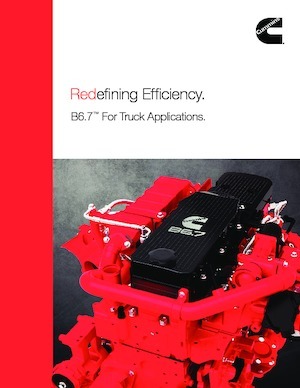 The most comprehensive insight and analysis of the global non-road mobile machinery powertrain sector.